Enjoy a NEW Refreshing Scent for Summer! Warm weather is here and what better way to start the summer season than by changing your scent. Give yourself a new fragrance with fruity and citrus notes to keep you feeling refreshed all summer long. This scent is so sophisticated, feminine and lovely. I wear it on dates with my husband, and he loves it! Guess Dare is my all time favorite! This is my daily go-to fragrance. It reminds me of fun, carefree and happy summer days! 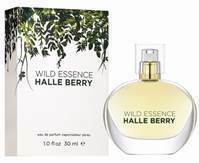 I love this fragrance because it is soft, subtle and like a summer breeze. I also love the pretty bottle and the serene blue color. Disclaimer: I received samples of these fragrances to review and to keep. All opinions are my own.